I read 46 books in 2015, most of them in the first eight months of the year. I tend to lose steam around September every year for whatever reason. Here are my five favorites and related books I hope to read this year. I did not expect to be so affected by this story, but Greene’s prose gets to the heart of the irresistible pull of grace and the desire to be truly loved and known. About halfway through the book, it jumped up to one of my all-time favorites. I liked this nun novel so much, I read it twice last year (except that one devastating chapter I skipped upon the re-read). I love the fleshiness of the characters as a correction of my usual perception of monastic life as full of dreamy spirituality and Latin chant. 4. Middlemarch by George Eliot // Middlemarch was my big January novel last year and it was worth it. Dorothea 4eva. 5. The World Beyond Your Head: On Becoming an Individual in the Age of Distraction by Matthew B. Crawford // I think this is 2015’s largely unsung habits book that is about more than just doing stuff more consistently. It’s a philosophy book that challenged me to be a better mom and Christian by leaning in to hard things. Hello everyone! I'm Julia. 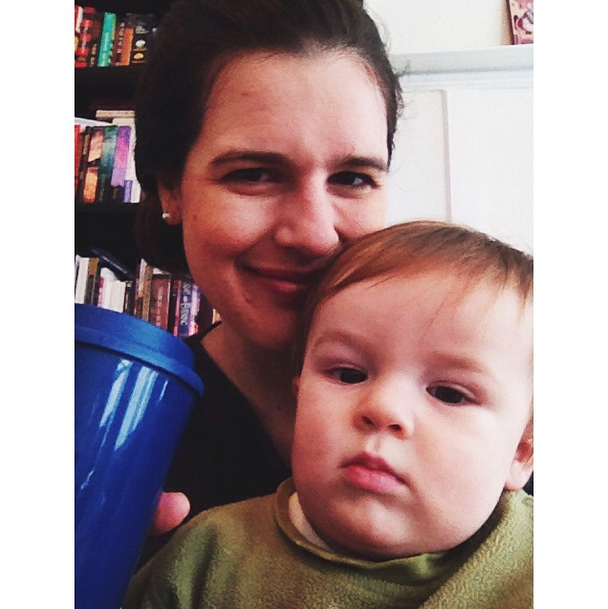 I am wife to an academic, mother to a little boy and a little girl, a Catholic convert, reader, and manic crafter. I hope you stick around and enjoy! Christ is risen! Christos anesti! Alleluia!